Whole Foods 100 Pitt St. 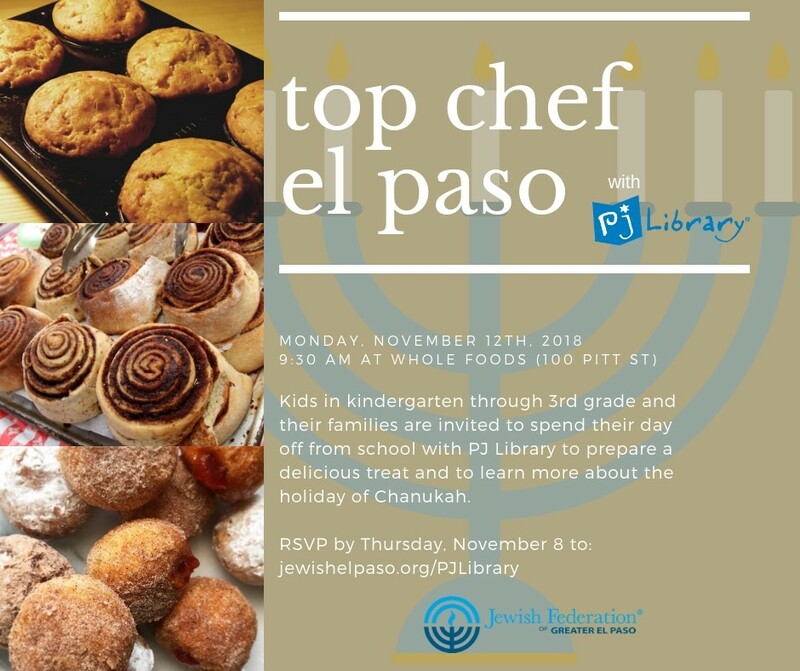 Kids in kindergarten through 3rd grade and their families are invited to spend their day off from school with PJ Library to prepare a delicious treat and to learn more about the holiday of Chanukah. RSVP HERE by Thursday, November 8, 2018.